When you see people cross country skiing you think you’d have to have experience to be good at it but it is quite easy to pick up the basics. We were fortunate enough to have the best weather conditions ever seen by our instructors after four previous trips. Some of us were worried about the accommodation but upon arrival we quickly realised that Haugastol was a very comfortable place to stay. Travelling to Norway was not for the faint hearted as the cheapest route meant flying in the middle of the night and then continuing into a four hour bus ride from the airport to the hotel. Bus rides in the mountains are good at testing peoples’ nerves; sleeping was difficult as we were excited about the week to come. 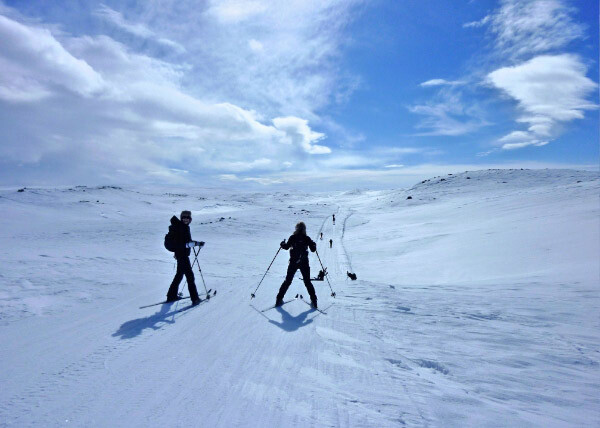 After a large buffet breakfast, we were introduced to the cross country skiing equipment which turned out to be very different to that of downhill skiing. We were given the chance to come to terms with the basics of the sport before attempting our first trial run. On the first day there were some very interesting tumbles, from falling backwards to falling forwards, not forgetting falling sideways! We went on our first tour on the second day; we were given skins to allow us to do the unnatural thing of climbing up the steep mountain whilst on the lightest of skis. As we reached the top of the slope there were all-round, breathtaking views which were all worth photographing. Going downhill on cross country skis makes you feel like you are a beginner all over again (if you have downhill skied), as you have to snow plough to slow down, not the most graceful of actions. 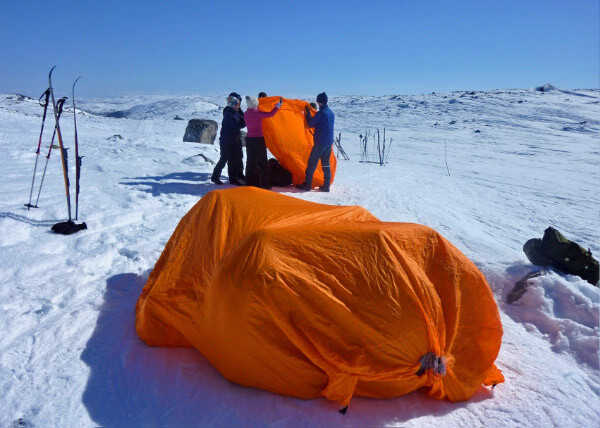 When we were first given the kit list, sunscreen seemed a little odd to take to Norway but it soon became the most important item to carry as the sun was shining hard everyday and with it came the potential for serious burns. Crossing frozen water is a daunting thing but the idea that it is melting below you makes you all the more paranoid. To master ski touring you do need to cross many deep lakes in safety. 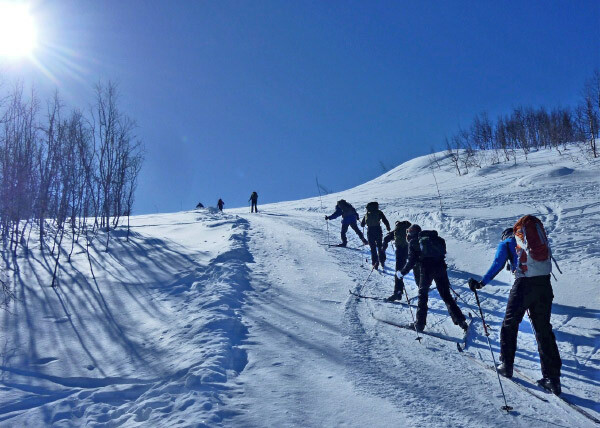 We became the first group in five expeditions to be lucky enough to be able to do an overnight ski tour. We took a long, steep climb over the hills to a lovely little isolated hut called Tuva where we stayed in a real life ginger bread house with a floor covered with mattresses for beds. The only downside was the medieval lavatory as it was basically a massive hole with a hut over the top which smelt worse than a pig sty. Upon return to the hotel at Haugastolnext day it was plain to see that everyone was on their last legs. The final day started with an exciting relay race which saw us hurtling down across the frozen lake and after a quick circuit back up the icy slope slope again. A week before that would have seemed an impossible task but all approached it now if not with joy then at least with determination and confidence. 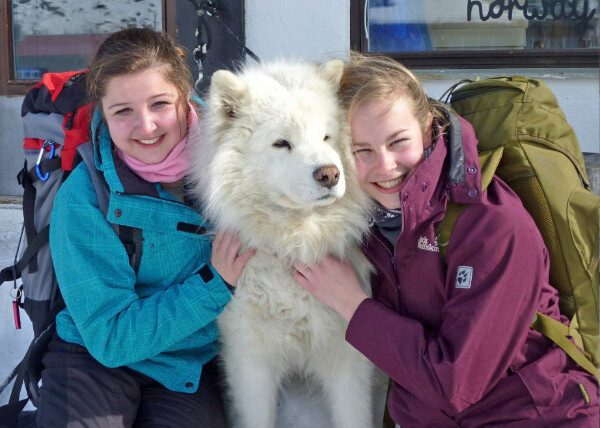 In the afternoon we had a pleasant swimming pool session in Geilo, a pizza supper and a fascinating lecture by explorer Hannah McKeand on her polar travels. Our daytime journey back home was less stressful and we were all exhausted and happy to rest. This expedition was a challenge and in the end we all came out with some amazing experiences and memories which will last a lifetime. 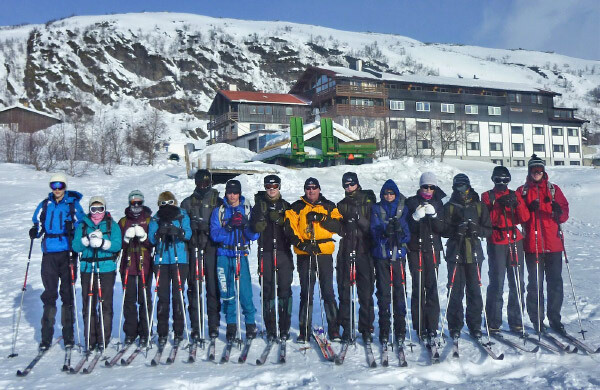 We left Norway each with our own sense of achievement, built up after skiing a total of over 60km over the mountains. We’d all like to give a big thanks to our instructors, Captain Tony Willmore and Major John Patchett, whose experience and skill made this possible,and also to Lieutenant Susie McGregor for all her cheery help and encouragement.